The Republic of Costa Rica is the official name of Costa Rica. It is a country in Central America, surrounded by Nicaragua in the north, Panama in the south-east, the Pacific Ocean in the west, the Caribbean Sea in the east, and Ecuador in the south of Cocos Island. 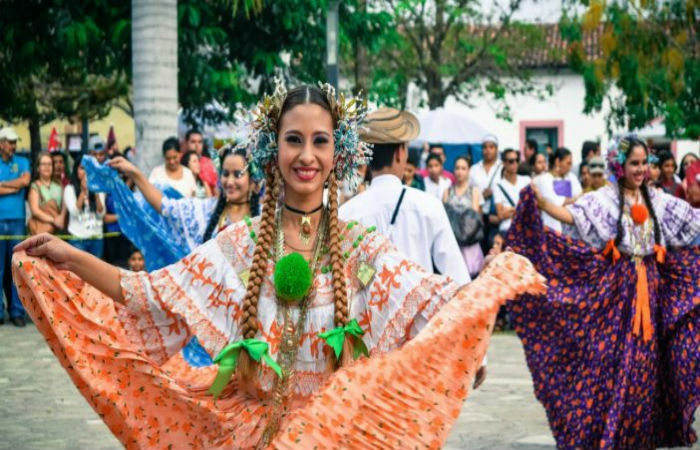 Costa Rica constitutes a population of around 4.9 million and is spread over an area of 51,060 square kilometers (19,714 square miles); San Jose which is the capital of the country is the largest city and over 300,000 people reside here. Beautiful Costa Rica measures only 285 miles (460 km) from northwest to southwest, and at its narrowest distance, it is only 74 miles (120 km) wide. It is smaller than Lake Michigan. Costa Rica entertains more than 5% of the world’s biodiversity; regardless it has 0.03% of the landmass is occupied by the surface of the planet. The Pacific Marine Region of Costa Rica reaches 625,000 km2, which is about 10 times larger than the land area of only 52,100 km2. The basic diet of people of Costa Rica is rice and black beans, with bread, chicken or meat, vegetables, salads, and fruits. For breakfast, when mixed rice and beans are taken, they are called GALLO PINTO. The wage of a laborer on an average is approximately $ 10 a day, the highest in Central America. Costa Ricans refer to them as “Ticos” (men) and “ticks” (females). Foreigners are often called “Gringos” (men) and “Gringas” (females). Costa Rican has less than 1% of native ancestors. 94% of them are of European or mestizo background. In Costa Rica, there are 801 miles of coastline. Costa Rica is divided into seven regions; San Jose, Alajuela, Heredia, Cartago, Guanacaste, Puntarenas, and Limon. There are seven active volcanoes in the city with more than 121 volcanic formations. The second widest crater in the world is Poas Volcano and Arenal is one of the ten most active volcanoes in the world. Instead of having its own currency, the Colon, many stores list prices in US$ terms. Costa Rica is also known as the hummingbird capital as it has 52 species of hummingbirds. After bats, monkeys are the most common mammals in the city. The four common inhabitant species to the city are the Howler, Spider, White-Faced, and Squirrel. Costa Rica is home to 20,000 different species of spiders, 750,000 species of insects and more than 10% of the world’s butterflies. Costa Rica falls under the most admired environmental destinations. A country is wrapped under the sheets of approximately 25% of forests and reserves. There are more than 100 different protected areas to visit. As on June 18, 2018, the current population of Costa Rica is 4,951,291, which is based on the latest United Nations estimates. The life expectancy is 79 years which is one of the highest in the world. As in India, the government is democratic in Costa Rica with presidential elections held after every 4 years. There is no standing army in the country. Every radio station in Costa Rica plays the national anthem every morning at 7 am. Wearing shorts was a sign of disrespect until a few years back. There are sometimes slightly weird ice cream flavors in Costa Rica and at times interesting also. The literacy rate of Costa Rica is 96%- In rural areas of the country where ticos (men) are very poor and can’t go to school; classes are taught on air over a national radio station. For slang word, “Dude” other name is used in a regular conversation of young people which is called “Mae”. Women don’t take their husband’s last name in the country.